Sandra Bullock is currently in London filming a Sci-Fi thriller called Gravity with George Clooney, but the Sun, a British tabloid, reports her offscreen activities are more focused on the paranormal. The Oscar-winning actress is staying in a converted church, but sources say she is asking her producers to investigate the dwelling because she fears it’s haunted. The paranormal patter is reportedly so bad that Bullock is suffering sleepless nights due to “ghostly presences” inside the north London church and a source claims the actress is convinced something is not right. Bonnie Vent, a San Diego-based spiritual medium, isn’t surprised Bullock is having ghostly experiences in jolly old England. Also, show business celebrities seem to have a knack for picking up ghostly vibes, she says. So are celebrities ghost magnets? Does a witness's celebrity make him or her more credible, perhaps not because of the person's fame, but because of the private idiosyncracies that drive that fame? In March 2011, American Idol contestants were reportedly so frightened by paranormal occurrences in the Beverly Hills mansion where they were staying that they vacated the house and refused to go back. As for celebrity paranormal investigations, they have a Reality TV app for that. In 2006-2007, a similar show, Celebrity Paranormal Project, took groups of celebrities to investigate notoriously haunted locations. In the UK, ITV2 has a show, Ghosthunting With ..., wherein host Yvette Fielding takes British celebrities with her to investigate haunted buildings. There's also a show on the Bio and A&E Network: Celebrity Ghost Stories; a UK version of the show started in 2011. See some of their stories here, here, here, here and here (the pilot). Embedding of these videos was not permitted, so I can only give you the links. Of this episode, PopEater (via Ghost Theory) writes: "File this squarely under creepy. A few months before his body was found hanging in a Bangkok hotel room closet, David Carradine sat down to discuss a ghost he believed was haunting him … from a closet." Here's a twist. There's more to explaining the paranormal than standing in a dungeon with night vision TV cameras and an EMF reader. And there's more to rationalizing the unseen, the hidden, the compelling mysteries of our world than debunking them in scientific terms. It's time to talk about the peculiar power of curses. Curses born of suffering. Curses that last beyond the grave. How does the strange psychological and social alchemy of a curse - a powerful, dark, cryptic wish on someone else's welfare - bear out in the real world? This is the season for lists of cursed movies. These films' productions are considered somehow cursed by their evil subject matter or just pure bad luck. You've seen the list before: Rebel Without A Cause (1955); Rosemary's Baby (1968); The Exorcist (1973); The Omen (1976); The Amityville Horror (1979); Poltergeist (1982); Twilight Zone: The Movie (1983); The Crow (1994); Star Trek (odd-numbered movies). If you want to read some of the true stories behind these cursed movies, go here. They fall in such a concentrated time period, you have to wonder if someone in Hollywood recognized that the coincidental streaks of bad luck that can surround big budget film-making could be respun as a brilliant marketing gimmick. Scriptwriter David Seltzer's plane was struck by lightning. Richard Donner's hotel was bombed by the Provisional IRA . The 'Omen curse' was indeed woven into the film's wildly successful marketing campaign. You can watch the actual film, a true horror classic, online, starting here (at least for now - the link won't last). And you can watch The Omen Legacy about the film's curse, starting here. In 2005, a slickly written documentary entitled The Curse of 'The Omen' was shown on British television which explained the curse in epic, world-shattering conspiracy theory, terms. David Lynch made one of his more troubling, yet brilliant, yet troubling, films, Inland Empire (2006), about a remake of a cursed movie inside a cursed movie, with the two looping back on each other like a Möbius strip. But there is one more film curse on the list: Superman. And what better time to talk about the famous Superman curse than when DC Comics has turned itself inside out and rebooted its fictional universe, in part because of Superman. Superman is DC's ultimate character, even when Batman proves more popular or brings in more revenue. Superman is America's original superhero, a reimagining of a mythical Sun God for a Modern, then a Postmodern, and now a post-Postmodern age (see my post on that mythology here). He was born out of the conditions of the Great Depression. And he is reborn in the conditions of the Great Recession. On the night of June 2, 1932, the world's first superhero was born — not on the mythical planet of Krypton but from a little-known tragedy on the streets of Cleveland. It was Thursday night, about 8:10 p.m., and Mitchell Siegel, a Jewish immigrant from Lithuania, was in his secondhand clothing store on the near East Side. According to a police report, three men entered. One asked to see a suit of clothes and walked out without paying for it. In the commotion of the robbery, Siegel, 60, fell to the ground and died. The police report mentions a gunshot being heard. But the coroner, the police and Siegel's wife said Siegel died of a heart attack. No one was ever arrested. What happened next has exploded some of the longest-held beliefs about the origins of Superman and the two teenage boys, Jerry Siegel and Joe Shuster, who invented America's best-known comic-book hero. Past accounts suggest Siegel and Shuster, both 17, awkward and unpopular in high school, invented the meek Clark Kent and his powerful alter-ego, Superman, to attract girls and rise above their humble Cleveland beginnings. But now it appears that the origin might have been more profound — that it was the death of Jerry Siegel's father that pushed the devastated teen to come up with the idea of a "Superman" to right all wrongs. "In 50 years of interviews, Jerry Siegel never once mentioned that his father died in a robbery," says Brad Meltzer, a best-selling author whose novel, The Book of Lies ... links the Siegel murder to a biblical conspiracy plot. "But think about it," Meltzer says. "Your father dies in a robbery, and you invent a bulletproof man who becomes the world's greatest hero. I'm sorry, but there's a story there." Siegel and Shuster had invented one of America's greatest heroes, perhaps, as Meltzer says - the world's greatest hero. And he's a hero, to borrow from Lermontov, for our times. But in the decades that followed, Superman became a symbol of another American complex (perhaps a world complex) - the stuggle between the haves and the have nots. 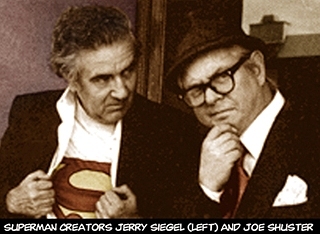 Siegel and Shuster created Superman before they sold the character to the company that was DC's predecessor. They were the original copyright holders and did not create the hero under a work-for-hire contract. They were paid $130 for their creation in 1938, relinquishing copyright control to DC, an agreement that was later partly overturned. "I hope it super-bombs. I hope loyal Superman fans stay away from it in droves. I hope the whole world, becoming aware of the stench that surrounds Superman, will avoid the movie like the plague. The publishers of Superman comic books, National Periodical Publications Inc, killed my days, murdered my nights, choked my happiness, strangled my career. I consider National's executives economic murderers, money-mad monsters." Bud Collyer voiced the first Superman cartoon from 1941-43 and again in 1966, after which he died of a circulatory ailment. Lee Quigley, who played Superman as a baby in the 1978 film, died in 1991 at age 14 due to solvent abuse. Kirk Alyn played Superman in two low-budget 1940s serials but failed to find work afterwards because he was too closely identified with the role. Christopher Reeve played Superman/Clark Kent in the Superman film series, was typecast, and died young in 2004 as a result of paralysis incurred through a horse riding accident in 1995. His wife died shortly after at age 44 of lung cancer, although she never smoked. Margot Kidder, who played Superman’s love interest Lois Lane opposite Christopher Reeve, suffers from intense bipolar disorder. In April 1996, she went missing for several days and was found by police in a paranoid, delusional state. The partial inspiration of the curse - that is, Superman's copyright across all media - has become a legal war of attrition lasting decades. The hero's creators stayed in the courts to assert their rights under the US Copyright Act. Their estates continued this battle after their deaths. 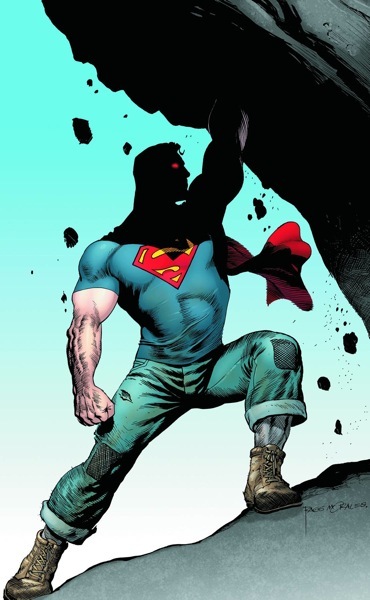 In 1999, 2008 and 2009, the Siegel heirs won important cases which ruled that they were entitled to a share of DC's Superman profits; they had recaptured 50 per cent of the copyright to Action Comics #1 and #4 and parts of later comics; these presented Superman, gave his Kryptonian origins, and his work at the Daily Planet with Lois Lane. They will hold these rights until 2033. The Shuster portion of the copyright is a separate, complicated, legal question because Shuster had no heirs; but it, too, poses serious problems for DC. DC owns other rights to Superman's powers and origins outright (such as his arch-enemy Lex Luthor, the Fortress of Solitude and Superman's ability to fly). The lawyers and judges have been picking apart the intricacies of this matter to this day. You can read about the endless proceedings, with some dark intrigue at certain points: here, here, here, here, here, here and here. One day, someone will make the third-most compelling Superman film, a thriller, about the copyright cases and all the drama behind the scenes. The legal concern that may have inspired DC's reboot this past September is this: DC may lose their remaining US copyright control of Superman in 2013 (see reports here, here, here and here). If that happens, DC and its parent company Warner will no longer be able to publish material or make films with the Superman we know. In early 2011, shortly before her death on February 12, Siegel's widow Joanne, who was the inspiration for Lois Lane, scolded DC in an eloquent plea (see here and here). She asked them to consider the human side of the money making enterprise. We're in the middle of the worst recession since the Great Depression of the 1930s. Superman was invented during a terrible economic downturn, and he is reborn now, but perhaps for all the wrong reasons. After all, what does Superman stand for, this great hero who battled crime and injustice at America's heart? Does he stand for 'Truth, Justice and the American Way'? Or does he stand for corporate greed and profits? Is DC's core motivation in creating the DCnU dodging the Superman copyright, rather than finding a settlement? Is DCnU in fact DC's desperate manouevre in the eleventh hour to keep using the hero without fully compensating his creators' estates? Is DC reworking Superman into a character who only reflects the bits of the hero to which the company owns the rights? Is this why DCnU has broken up Superman and Lois Lane? I discussed the importance of the court cases and related them to the DCnU reboot, here. It’s true the times, they are a changin’. In my next piece on reading the New 52, I’ll reveal how deeply tied to our zeitgeist these comic books really are. Subjects like class, diversity, mass media and terrorism permeate the re-launch and show just how much of a cultural event this really is. The presence of these topical themes suggests again that the company really wants readers to identify with their new universe, whether they’re new, old or returning. After reading all 52 issues I can’t say for certain that their strategies will work. Will DC's grasp of the Zeitgeist - likely driven by this strange copyright battle - be a pyrrhic victory? If DC really did launch the DCnU in an effort to avoid a copyright settlement, has it somehow stripped Superman of his heroism? I am not talking so much about what George Perez and Grant Morrison will do with the character in upcoming stories, but the underlying motivations - the inescapable boardroom truths and values, the Fourth Wall decisions - which drive the changes. And if that's the case, if DC unwittingly strips its greatest hero of his core heroism, will the DCnU lead to the final fulfillment of the Superman curse? At the seminal moment when print and film media finally merge, that would be the ultimate Millennial irony. Curses, judgments, and the transformation of the media may together deliver the final verdict on what now can be considered just and injust, what is right and wrong, and what is heroic and what isn't in this crazy world. 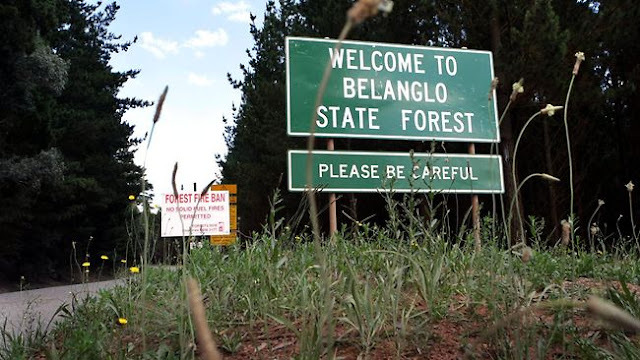 Covering 3,800 hectares in the state of New South Wales, the woods of Belanglo State Forest have become world famous for the worst of reasons: serial murders. 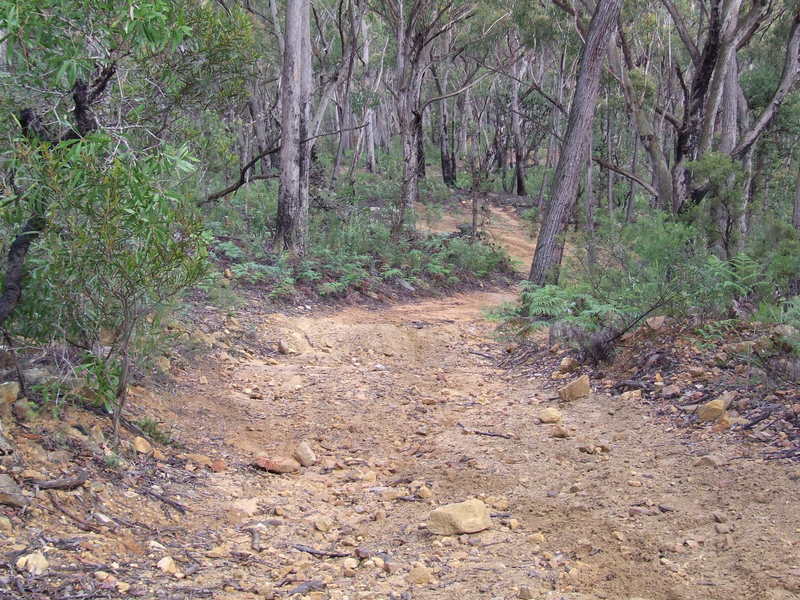 This tree plantation stands just off the highway between Sydney and Canberra, and became site of seven gruesome backpacker murders in the early 1990s. 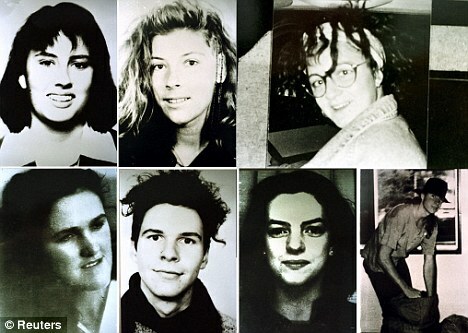 The victims were three young Germans, two Britons and two Australians of Caroline Clarke, Joanne Walters, Simone Schmidl, Anja Habschied, Gabor Neugebauer, James Gibson and Deborah Everist, for whose murders Ivan Milat was ultimately convicted. The backpacker murder victims; the missing persons poster images are here. Image Source: Reuters via Daily Mail. Milat is serving seven consecutive life sentences, and his time in prison has been anything but uneventful. A year into his bid, he made an unsuccessful escape attempt with convicted drug dealer and former Sydney councillor George Savvas. Savvas was found the next day hanged in his cell, and Milat was transferred to Goulburn Supermax prison. In 2009, he cut off his little finger with a plastic knife. He's also swallowed razor blades and other sharp objects. In 2011, he went on a hunger strike to get a Sony Playstation. Belanglo State Forest in 2007. 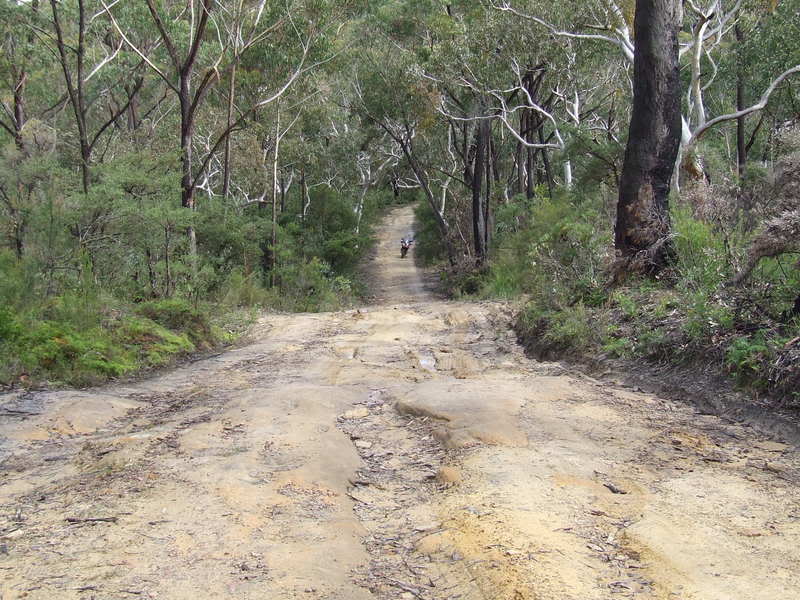 Image Source: Adventure Rider. Then in 2010, the remains of David Auchterlonie were found in the forest. The teenager had been killed with an axe. This murder involved one of Milat's relatives, and the crime was confessed to by Chase Nathaniel Day. But other remains have been found in this grim location as well, for crimes as yet unsolved (see a report here with an interactive map of the forest and the list of missing people, here). 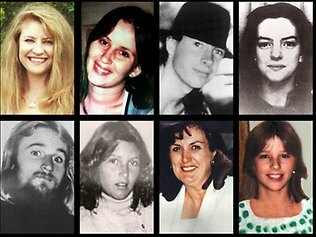 Australian profiles of victims and missing people, including those linked to the forest, are here. 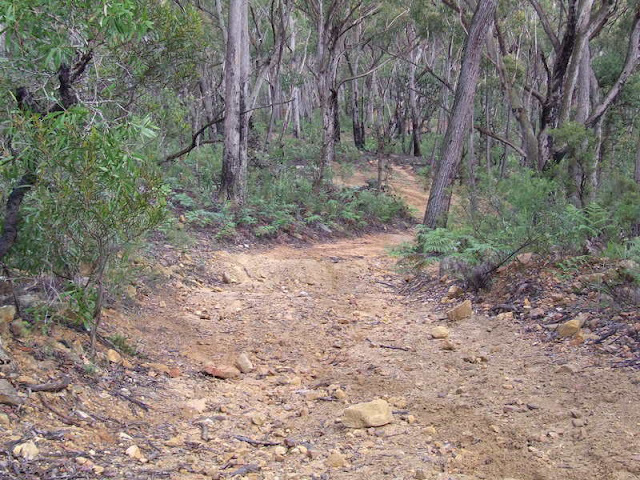 The forest is still popular with hikers and dirt bike riders. The backpacker murders, along with the unrelated Peter Falconio case, inspired the harrowing horror film, Wolf Creek (2005). See a clip from the film below the jump. Also below the jump, Paranormal Investigators did a 2007 show called Haunted Woodlands which investigated ghostly activity in the forest. Their investigation didn't turn up anything tangible, other than the feeling that this forest is not the place to spend the night. Execution Rocks Lighthouse. Image Source: Extreme Ghost Hunters. Ghost ships are not the only sea haunts that have inspired tales of phantoms and paranormal research. Below, see something even stranger: the investigation of a haunted sea fort, one of several built in World War II off the UK coast. See also: a haunted lagoon. 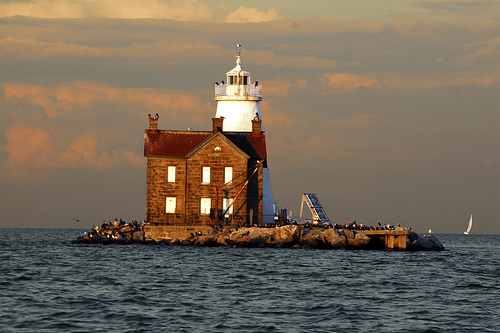 And to top it off, ghost hunters and paranormal societies check out some scary lighthouses. View of the wreck of the US merchant ship Alkimos off the coast of Perth, Australia (21 November 2006). Image by Orderinchaos. Image Source: Wiki. The world counts amoung its most famous mysteries its ghost ships, abandoned but undamaged, or not abandoned - but with the entire crew mysteriously found dead. For the centuries before air travel became the norm, shipping formed the global web of communication and trade. Terrible things could happen between ports, and months or years could transpire before a troubled ship turned up, if it turned up at all. The ultimate ghost ship legend comes from the height of the sea trade, the 18th century Flying Dutchman. 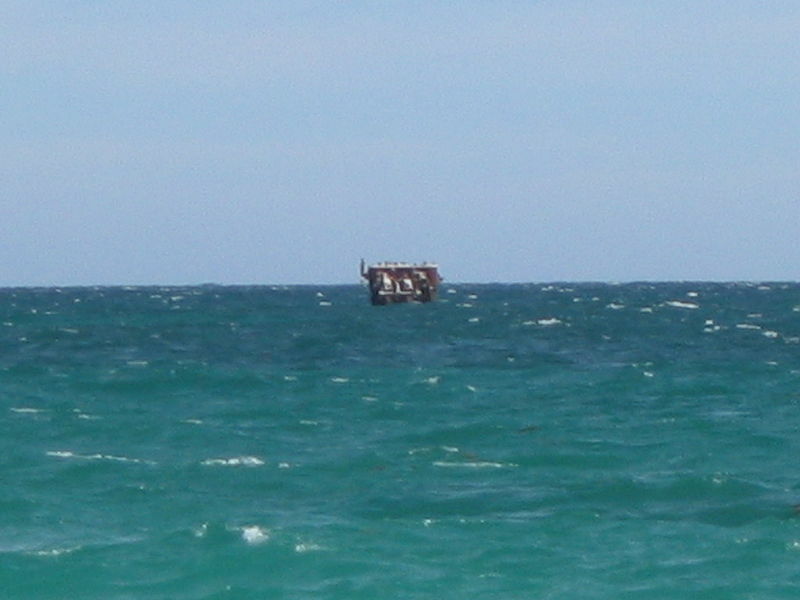 Some of the most frightening stories are probably of the Mary Celeste, found undamaged but completely abandoned, with food still cooking in the mess (which inspired a 1935 classic film starring Bela Lugosi; it was a tale that even frightened Stephen King); the Ourang Medan, found in Indonesia with its crew dead, "frozen, teeth baring, gaping at the sun" (chillingly described at Cinema Suicide here); the Seabird, on which the only remaining creature, living or dead, was the ship's dog; the Baychimo, abandoned in 1931, but sighted sailing, empty, for nearly 40 years after that; and the Kaz II, found abandoned with one sail shredded and often considered a Millennial version of the Mary Celeste. As for haunted ships, a recent famous example is the Alkimos (above), an American ship built in World War II. She sailed for twenty years before falling on troubles that, some say, resulted from a cursed construction. It is rumoured that she was built so quickly that some of the welders were sealed between the hulls. She was semi-wrecked in 1963 off the West Australian coast and had a number of on board custodians and repair personnel in residence. They were terrorized by a series of apparitions related to a murder-suicide that had occurred on the ship. While the Alkimos was stranded, 8 successive owners suffered ill luck and deadly illnesses until they sold the ship, whereupon the bad streak abruptly ended. 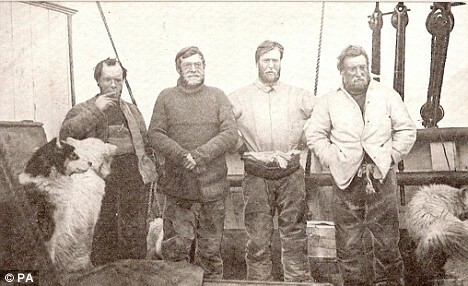 Other people who researched the ship or swam or flew nearby were plagued by sudden bad luck or mortal accidents, until the whole area around the wreck became associated with drownings, accidents and engine failures. Workmen were finally chased off by an unexplained fire, leaving the wreck in shallow waters off the coast, where it can still be seen. Queen Mary Ghost. Ghost photo by Joe LaRocca. Source: Haunted America Tours. Caption for the above photograph: While aboard the Queen Mary a few years back my Uncle George took this picture of what he thought was an ordinary vestibule. When he got home he printed out his pictures but wasn’t expecting to find what looks like a ghost walking down the hall. My Uncle is 78 and does not believe in ghosts, but this freaked him out. He doesn’t even like to talk about the incident. I was just watching a special on the 10 most haunted places and when the Queen Mary was listed I felt compelled to send in the picture. 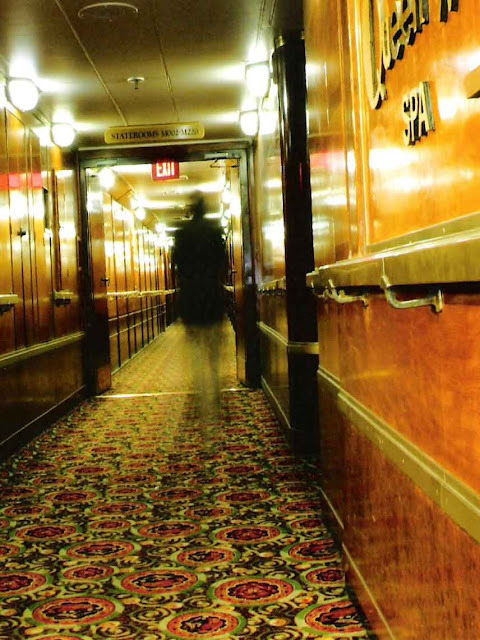 There are plenty of frightening stories about the notoriously haunted Queen Mary. The retired Cunard ship is now docked in California and used as a floating hotel. Two of the ship's swimming pools are apparently haunted, as is the engine room; cabin B340 is not let out due to constant reports of paranormal activity. You can see investigations of Queen Mary hauntings below the jump. The British production, in particular, is the height of Millennial Paranormal Reality TV; their experiments are as convincing as you want them to be. 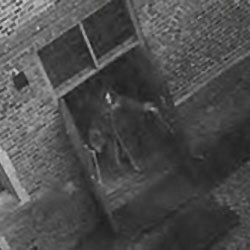 Hampton Court Palace Ghost on a security camera (October 2003). Image Source: Our Curious World. When the Internet first took off and became a platform for popular media, there was a window of time when people still believed that pretty much everything they saw on it was true. One corner of the Web that exploded when Youtube was created in 2005 (yes, Youtube is only 6 years old! it feels like it's always been there) depended on films created by the seemingly reliable, fixed witness of anything and everything Millennial - the CCTV security camera. The idea that security cameras, and cameras in general, provide an objective point of view also popped up in film-making, and fact and fiction rapidly converged. CCTV cams quickly spawned whole genres of quasi-virtual-real post-Postmodern entertainment - Reality TV and 'found-footage' horror films. Before Reality TV and found footage became full-blown gimmicks, there had already been plays on the use of the camera in horror and suspense films. The camera became the detached, technical POV that could tell the truth in a situation where human observers were strained to their limits. Film-makers especially tested this idea in a frightening situations, when subjective views were compromised. There were weird hints of it in The Eyes of Laura Mars (1978). The camera as impartial witness appeared in Cameron's Aliens (1986), Lost Highway (1997), Blair Witch (1999), Blair Witch 2 (2000), My Little Eye (2002), Red Road (2006), The Poughkeepsie Tapes (2007), REC (2007), Paranormal Activity (2007), and Paranormal Activity 2 (2010). All hinged on the assumption that there is a reality beyond our senses, evident to the camera, but not to us. We can only see this larger truth in 'playback.' This is an example of how we turn to tech as a higher power to tell us the 'whole truth.' The camera gives us answers in areas where we doubt ourselves and the world. That was fiction. Yet factual accounts quickly repeated exactly the same idea. You can see news reports on one real (?) CCTV ghost case here and here. In the early 2000s, security cams were considered especially impartial. Youtube quickly became awash in scary security cam ghost videos. Supposedly their footage, unmediated by human direction, unedited, untouched, told the 'straight facts' of what happens in places when we are not there and not looking at them. Security cames provide the objective reality of unseen objects. When they show random paranormal events, they appear to provide cold, hard evidence for the existence of ghosts. Then tech caught up with our credulousness. It's so easy now to fake security cam videos or digitally doctor them, that almost all of these films may be considered to be fake or potentially faked. Only a tiny handful of security cam ghosts are difficult to explain. Most of the latter cases are of moths flying in front of the camera, as with here, here and here. For a borderline convincing (or at least entertaining) CCTV ghost in a Singaporean elevator, go here. See a few of the most convincing security cam ghost videos below, with no surprise pop ups - promise!